Hopefully ad will publish in Dec. 2018 and exam will held in the mid of Jan. 2019, subject to approval of the S&GAD. Let's see how much time S&GAD takes to initiate the requisition through PPSC. If it is mid of jan then would it not be overlapped with css exams. Pleasure! Wishing you best of luck for your future endeavours. These two commissions: PPSC and FPSC work in close coordination. They probably won't design a timetable that would clash in the case of competitive examinations. Desperate situations require desperate remedies "Lord Nelson" - British Flag Officer in the Royal Navy. This relaxation will allow me to appear as well. Would you please mind telling me if this update has been made public officially. What is the expected date for admission of PMS 2018 ? Is there any age relaxation for federal government employees? and id so then what will be the final age limit for them after counting age relaxation? Sir any idea about PMS 2017 Final result? I’m government employee, age extension for government official is now 38 or still they’ll continue with 35 years. 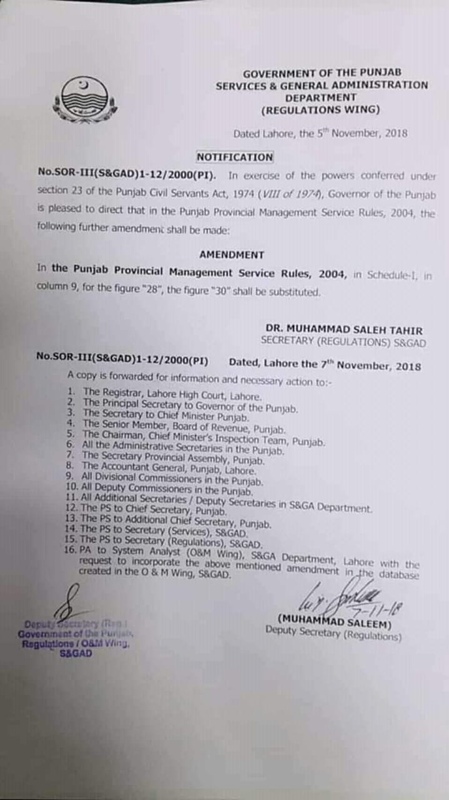 Can someone calculate my age with respect to amendment made by Punjab government I.e. 23-01-1984.